Enjoy the Sights of Helena in your RV rental from RVshare! The “Queen City of the Rockies”, Helena is a city you will easily fall in love with. One of the smallest state capitals in the country, Helena was once the richest town in the nation. Founded by four miners who were in search of gold, the city thrived in gold mining, and was a boomtown with thousands of men gravitating to Helena in the hopes of striking it lucky. The city did not suffer the same fate as other towns that became ghost towns after the gold ran out, it continued to thrive because it is strategically located along the route of major transportation hubs, which helped sustain the city’s economy. You might be wondering what Helena has to offer in terms of places to visit, so we have listed down numerous attractions, and great places to stay in an RV rental in Helena, Montana. A natural wonder located just 20 miles from the Helena, the Gates of the Mountains are towering rock formations situated along the Missouri river. To enjoy the sights and sceneries, it is best seen while aboard one of the tour boats, which afford you to view amazing 1000 ft. limestone walls, the Montana wilderness, and the Mann Gulch where a forest fire killed 13 smokejumpers more than 50 years ago. It is the perfect way to see and learn more about Montana, with professional tour guides onboard imparting their knowledge about its history, flora and fauna, and other tidbits about the state. The Gates of the Mountains is one of the finest attractions in an RV rental Helena MT. One of the icons of the city, the St. Helena Cathedral epitomizes the unwavering faith of its residents. They say that you have not been to Helena if you have not visited the cathedral. It is a magnificent structure of gothic style. In 1914, the first mass was held in the church, and masses and other church-related events are still being performed up to this day. If the church edifice is amazing, wait till you get to see the inside. Stunning stained glass windows and beautiful chandeliers that are awe-inspiring will welcome you. Catholics and non-Catholics alike will enjoy a tour of the cathedral, which can be enjoyed by arranging one, through the parish office when you visit in an RV rental Helena Montana! Located west side of the city, the Archie Bray Foundation for the Ceramic Arts is an art pottery institute that has been in existence since 1951. It has more than ten artist residences, some of them coming from different parts of the world. A feast to the eyes for artists, art lovers and ordinary folks, the institute showcases colorful and unique pieces of artwork. You can find these amazing pieces not only in the building but in the grounds of the institute as well. You can spend hours in and outside the institute just discovering artwork in its nook and cranny. Aside from its marvelous exhibits, the institute offers pottery classes, workshops and lectures given by renowned artists. Art as its best is what you will find in the Archie Bray Foundation for the Ceramic Arts. Just minutes away from the heart of the city, the Lincoln Road RV Park has 77 RV sites that are spread out in a grassy landscaped area. 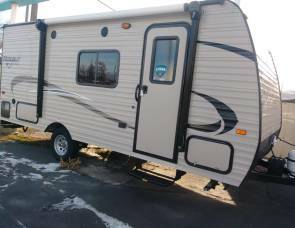 There are 65 full hookup sites which come with a cement patio and a picnic table, best suited for a motorhome rental in Helena, MT. Strategically located, the park is open all-year round, and a great place to stay if you want to enjoy fall and winter activities such as hunting and ice fishing, visiting the Bald Eagle Migration viewing area, and the Great Divide Ski area which are best seen during these seasons. 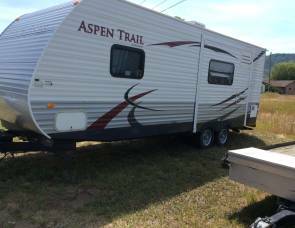 Amenities and services include internet access, bathroom and shower facilities, coin operated laundry room, TV and lounge room, office/gift shop, and a book & video swap/library for your camper rental Helena MT. Located 24 miles south of Helena, the Silos Townsend/Canyon Ferry Lake KOA is the best place to stay in a camper rental in Helena, MT. It is the perfect home base if you want to explore the cities of Helena, Townsend, or its neighboring areas. Its proximity to the Canyon Ferry Lake is one of its assets. You can enjoy numerous activities such as trout fishing, swimming and boating in the lake especially during the summer months. Like all the KOA campgrounds scattered all over the country, this is a family-oriented campground that prides itself with its warm and friendly staff. 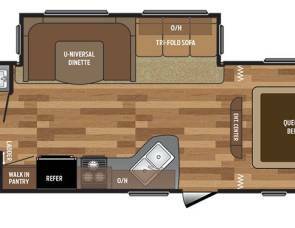 There are 51 RV sites, 41 of which are full hookups. 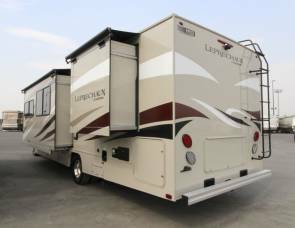 Amenities include a snack bar, pavilion, mini golf and an outdoor recreation area for your motorhome rental Helena MT. 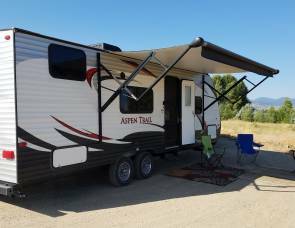 Located in the city of Deer Lodge about 55 miles away from Helena, the Indian Creek RV Park & Campground is situated in a beautiful scenic area and is just minutes away from the numerous attractions of the cities of Deer Lodge and Helena. The campground has 72 RV sites, 62 of which come with full hookups. The site is open from the 15th of April to the 15th of October. Services and amenities include newly remodeled restrooms and showers, cable TV and internet access. 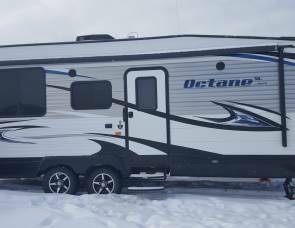 This is a terrific choice for an RV rental in Helena, MT. The Musikanten Montana Annual Wine Tasting & Silent Auction is an annual event held in the city of Helena to raise funds for the Montana Early Music Festival. It features delicious appetizers, wine tastings, music, door prizes and items for auction. This precedes the Annual Montana Early Music Festival, which showcases four free concerts performed by choirs, soloists and ensemble. One of Helena’s much anticipated event during the holiday season is the Festival of Trees. The event benefits the children and families at Intermountain, which used to be called the Intermountain Children's Home and Services. A team of volunteers, designers and decorators are tasked to prepare and adorn a number of trees and wreaths, which are auctioned off to raise funds. Aside from the beautifully decorated trees and wreaths, numerous items are auctioned off such as specialty items and vacation packages. The city of Helena is an ideal vacation spot at any time of the year. You can enjoy its natural wonders during the summer months, its beautiful scenery during spring, watch bird migrate during fall, and be awed by the Christmas trees during winter. You can hop into that RV now and enjoy a fun-filled vacation in Helena! Have an amazing time and thank you for choosing RVshare!